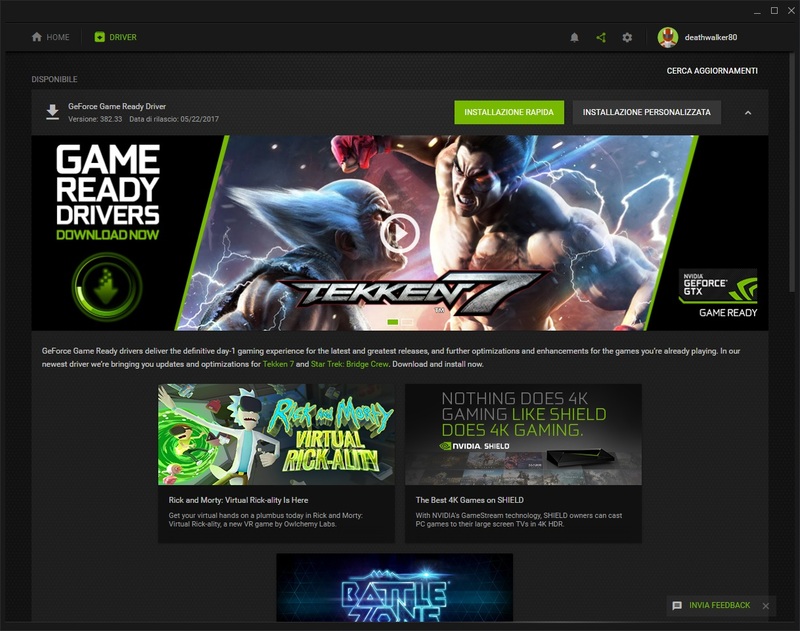 NVIDIA ha appena rilasciato i nuovi GeForce Game Ready Driver 382.33 con certificazione WHQL. Con questa nuova release l’azienda inserisce ed ottimizza il supporto per i nuovi titoli in uscita, ovvero Tekken 7 e Star Trek: Bridge Crew. Questa nuova versione inoltre comprende l’hotfix presente nella versione 382.19. 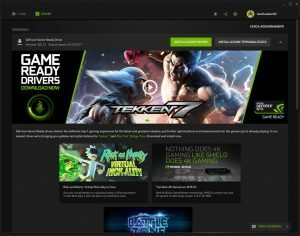 Per il download vi rimandiamo al sito ufficiale NVIDIA. Provides the optimal gaming experience for Tekken 7 and Star Trek: Bridge Crew. Added support for the NVIDIA TITAN Xp and GeForce GT 1030 products. Added support for Windows 10 Creators Update. Added DTS X and Dolby Atmos support for 5.1.2 speaker configuration. Added Dolby Vision support for games. Added NVIDIA® AnselTM support for Snake Pass and Kona. Display page: Added the option to override the Windows 10 control of desktop color settings.